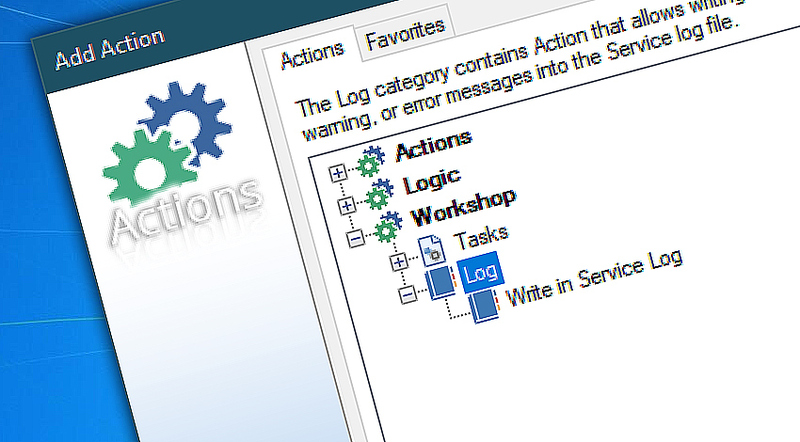 Log Action extends the default Automation Workshop logging capacities by adding an option to write in its service log. This allows to emphasize the importance of an event by adding context relevant information. When it comes to event logging, Automation Workshop offers many useful features to deliver a really comprehensible picture of what has happened during execution of automated tasks. However, if for some arbitrary reason you need to provide even more data for logging, Write to Log Action does just that. With Write to Log Action you can automatically write anything that seems relevant into log file next to its default information. You can choose minimum logging with custom messages or, quite on contrary, log as much as possible and add even more. 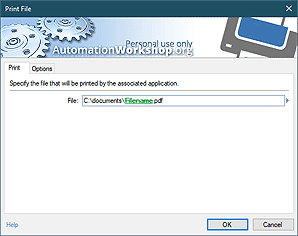 Write in Service Log allows writing information, warning and error messages into Windows system event log, where they can be accessed independently or by specialized applications. Write in Service Log · log custom data on Task execution.